As reported on Yahoo News, "Ms Manigault Newman, who is busy promoting her book, Unhinged: An Insider's Account of the Trump White House, was asked by TMZ which of the top White House executives was worse - the president or the vice president? 'Pence,' she shouted, before being driven away in a black SUV." In support of this claim, Tylt cited a New Yorker article by Jane Mayer dated October 23, 2017. According to Mayer, "Pence has the political experience, the connections, the discipline, and the ideological mooring that Trump lacks. He also has a close relationship with the conservative billionaire donors who have captured the Republican Party's agenda in recent years." But that is not the worrying part. 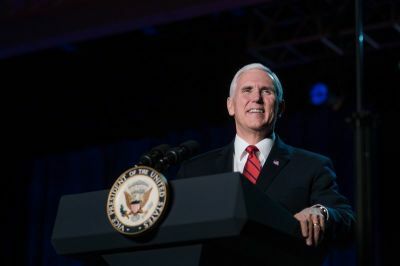 Rather, "Even as [Governor] Pence argued for less government interference in business, he pushed for policies that intruded on people's private lives. In the early nineties, he joined the board of the Indiana Family Institute, a far-right group that supported the criminalization of abortion and campaigned against equal rights for homosexuals. . . ."